Junkfood Science: Does banning hotdogs and bacon make sense? The answer is obvious ... or is it? 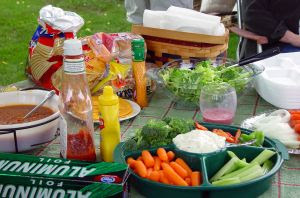 A campaign* to even ban hot dogs and other processed meats from school cafeterias in Austin, Texas, has also been in the news this month, with a local registered dietitian claiming that a single hotdog each day could increase colorectal cancer by 21%. Since this is the last week of National Hotdog Month — and American Beer Month and National Ice Cream Month, for the full summertime meal deal — and a major international scientific safety report was recently published on nitrates in foods, which received very little media coverage, let’s look at this popular food concern. In 1981, the National Academy of Sciences reviewed the scientific literature and found no link between nitrates or nitrites and human cancers, or evidence to even suggest that they’re carcinogenic. Since then, more than 50 studies and multiple international scientific bodies have investigated a possible link between nitrates and cancers and mortality in humans and found no association. What may be more surprising to learn is that scientific evidence has been building for years that nitrates are actually good for us, that nitrite is produced by our own body in greater amounts than is eaten in food, and that it has a number of essential biological functions, including in healthy immune and cardiovascular systems. Nitrite is appearing so beneficial, it’s even being studied as potential treatments for health problems such as high blood pressure, heart attacks, sickle cell disease and circulatory problems. Preserving meats using various salts has been practiced for thousands of years, even Homer’s era of 850 B.C. Salt works to kill aerobic bacteria, such as salmonella and E.coli on surfaces. But inside meats that are age-cured, the anaerobic environment enables Clostridium botulinum spores to thrive. Since around the Middle Ages, saltpetre (potassium nitrate) was used in curing meats, added both for distinct flavor and to preserve meat’s color, but it also blocks the growth of botulism and prevents spoilage and rancidity. The earliest printed cookbooks from the early 1700s show it used in astounding amounts, up to 50 times levels of nitrates and nitrites in more modern recipes. Even my old copy of Mrs. Beeton’s Book of Household Management by Mrs. Isabella Beeton, published in 1859, called for liberal amounts of salt and saltpetre. 805. INGREDIENTS - 1–1/2 lb. of coarse sugar, 1–1/2 lb. of bay-salt, 6 oz. of saltpetre, 1 lb. of common salt. Mode.—Sprinkle each flitch with salt, and let the blood drain off for 24 hours; then pound and mix the above ingredients well together and rub it well into the meat, which should be turned every day for a month; then hang it to dry, and afterwards smoke it for 10 days. Time.—To remain in the pickle 1 month, to be smoked 10 days. Sufficient.—The above quantity of salt for 1 pig. Around the turn of the century, chemists realized that the active ingredient in saltpetre was the nitrite and this enabled sodium nitrite, in much smaller quantities, to replace saltpetre. This also greatly reduced the saltiness of the cured meats, which had to be soaked in water to be palatable. Nitrite levels in frankfurters were noted to be as high as 1,400 ppm before that change. Since 1925, when sodium nitrite was shown safe for humans, it has been approved for use in cured meats in the United States, and no cases of botulism have been associated with commercially cured meats since then. You’ll find being sold curing salts of sodium nitrate and nitrite (i.e. Morton’s Tender Quick) and Prague powders (#1 of 5.25% sodium nitrite and salt for cooked meats like lunch meats, hotdogs, hams and sausages; or #2 of 6.25% sodium nitrite and 4% sodium nitrate and salt traditionally used for longer dry-cured meats like uncooked bacon and salami). 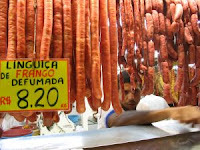 Since 1974, the use of potassium nitrate and even sodium nitrate has been barred in commercially cured meats like hotdogs and pumped bacon by the USDA, as a precautionary reaction to that earlier scare; and only scant amounts of sodium nitrite are allowed since 1978, a mere 120 parts per million. But during the curing process, most of this nitrite forms nitric oxide, which binds to iron keeping the meat’s color pink, and the amount of nitrite remaining in the cured meats we eat has been shown to be only about 10 parts per million. Nitrate, from any dietary source, does not accumulate in our body. Nor does nitrite. Nitrite is formed in especially high amounts in our mouths from bacteria. Salivary nitrite accounts for 70-97% of our total nitrite exposure. Ingested nitrate (from foods and water) is converted to nitrite when it comes into contact with the bacteria in our saliva. About 25% of the nitrate we eat is converted to salivary nitrate, and up to 20% is converted to nitrite. Most absorbed nitrate is simply excreted in the urine within five hours. In our stomach, nitrite then reacts to the natural flora and gastric contents, yielding nitric oxide, and little is absorbed. Moreover, what nitrite that is absorbed disappears quickly from our bloodstream, with the average half-life estimated to be as low as 1-5 minutes. More recently, the favorable role of nitrite and the formation of this nitric oxide in our bodies is beginning to be better understood (see below). Nitrate undergoes a number of metabolic interconversions, absorbed in the proximal intestine and becoming part of the enterosalivary circulation, and is recirculated in the blood, recycled between the saliva and the gut. In other words, total nitrate and nitrite in our blood is almost identical to the nitrate levels, according to the scientific opinion issued by the European Food Safety Authority (EFSA), adopted on April 10, 2008. The primary source of nitrites in our diets is vegetables, and to a lesser degree water and other foods. While it’s popularly believed that nitrates and nitrites mostly come from processed meats, they’re actually a very small source of our nitrite intakes, less than 5-10%. And nitrates aren’t present at all in commercially processed meats. Nitrates occur naturally in vegetables and plants as a result of the nitrogen cycle where nitrogen is fixed by bacteria. Dietary studies around the world have found 70% (in UK) to over 97% (New Zealand) of human consumption of nitrates and nitrites comes from vegetables alone, regardless of organic or conventionally grown. On average, about 93% of the nitrites we get each day comes from the nitrates in vegetables. This compares to standard hotdogs or processed meats with average nitrite levels of 10 ppm. By definition, cured meats must include the salts, sodium nitrite or sodium nitrate, so what about those expensive “nitrate-free” hotdogs and cured meats being sold to chemical-anxious consumers? They use “natural” sources of the very same chemical, such as celery and beet juice and sea salt. A chemical is still the same chemical, regardless of where it comes from. NO3 = NO3. 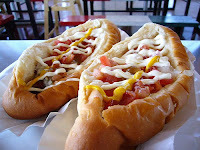 They are no more free from nitrates and nitrites than conventional hotdogs. So, when someone says that they avoid all foods with nitrates and nitrites (or that we should), they missed basic chemistry class. The scientific expert panel went on to estimate how much nitrate people typically ingest, based on eating 400 grams (just under a pound, 14 ounces) of a variety of vegetables, along with water and 35-44 mg from cured meats a day. They calculated that the average person might eat as much as 157 mg nitrates a day. This is well within the Acceptable Daily Intake for nitrate, which is 3.7 mg/kg body weight/day (equivalent to 222 mg nitrate per day for a 60 kg adult) established by the former Scientific Committee on Food and confirmed by the Joint FAO/WHO Expert Committee on Food Additives in 2002. The scientific panel’s review of the evidence found that the few studies suggesting a link between nitrates and cancers were of weak designs with “often very weak or even null” associations. The strongest studies and the body of evidence continue to find no increased risks. The safety of nitrates and nitrites in our foods and water has been taken quite seriously, and you could devote months to reading the hundreds of studies that have been done over recent decades examining potential health risks. The toxicology of nitrates and nitrites has been reviewed by numerous expert bodies, according to IPCS INCHEM, of the International Programme on Chemical Safety and the Canadian Centre for Occupational Health and Safety, which compiles international peer-reviewed chemical safety publications and database records from international bodies for public access. The main toxic effect, although reversible, is methaemoglobinaemia. This is a rare condition when hemoglobin is oxidized to methemoglobin and becomes unable to transport oxygen to the tissues. Symptoms don’t become apparent until concentrations of methemoglobin reach 20% and can be fatal at very high concentrations (>50%), but is readily treated. The levels of nitrites and nitrates said to be toxic are all over the place, as criteria for toxicity vary. But in general, toxic doses in the literature range from 2,000 to 4,000 mg for nitrate and 60 to 500 mg for nitrite. We're talking extremely high levels, far beyond what we would normally get in our diet without accidental poisonings or contamination. Studies on sodium nitrite even at doses of 30-300 mg as a medication for vasodilation or as an antidote in cyanide poisoning, for example, caused no toxic effects, according to the National Academies of Science. Dr. G.J.A. Speijers at the Laboratory for Toxicology, National Institute of Public Health and Environmental Protection at Bilthoven, Netherlands, for example, described three patients with methaemoglobinaemia who had accidentally eaten meat with toxic levels of nitrites (10,000 to 15,000 ppm). Another case of methaemoglobinaemia was caused by accidental ingestion of 700 mg of sodium nitrite in water. Babies under 3 months of age, and people with certain hereditary enzyme deficiencies, certain medical diseases with lower gastric acids, and possibly the elderly may be at higher risks for methaemoglobinaemia and toxicity, several reviews have suggested. So, how much is believed to be safe? As with all toxicology and governmental health recommendations, remember that “safe” levels are not measures of safety, but of safety margins. So the ADI, as defined by the FDA, Joint FAO/WHO Expert Committee on Food Additives, and the European Commission’s Scientific Committee on Food, first took the NOEL level — the level where animal tests have shown no observable adverse effect over a lifetime of exposure — and then added a 100-fold safety margin to arrive at the most conservative level for human exposure. So, while the NOEL for sodium nitrite has been reported in research at between 5-100 mg/kg/day, the ADI is less than 0.1 mg/kg/day. There’s a very wide safety margin. Of course, any chemical, even ordinary salt, can be lethal at toxic doses. While the lethal doses of nitrite reported in the literature vary from 1,600 to 9,500 mg, the lethal dose of sodium nitrite, as per those Material Safety Data Sheets, is estimated at 1,000 to 2,000 mg. This would equate to eating 2,222 to 4,444 hot dogs in a single meal. Even Joey Chestnut couldn’t do that! Despite what’s still popularly believed, there is no evidence that nitrate or nitrite cause cancers in animals. And there is no evidence to indicate that nitrite or nitrate ingestion is carcinogenic in humans, either. Numerous international studies have attempted, unsuccessfully, to find any consistent or causative links between cancers or congenital malformations and nitrates or nitrites in food and water. “The majority of the studies revealed no correlation, or in some cases a negative correlation,” according to Dr. Speijers. The 1981 scientific report from the National Academy of Science also concluded that there was no evidence to suggest that nitrates or nitrites cause cancer or are mutagenic. The National Toxicology Program, a division of the U.S. Department of Health and Human Services and considered the leading authority in the world on the safety of chemicals, conducted multi-year analyses at the request of the FDA. Its May 2000 and May 2001 reports “Toxicology and Carcinogenesis Studies of Sodium Nitrite,” also found “no evidence of carcinogenic activity” due to sodium nitrite. Sodium nitrite does not cause cancer in laboratory animals, these experts concluded, even when the animals are given massive doses in their water throughout their lifetimes. 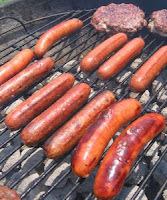 Also reported in the Carcinogenic Potency Database, research to date has found no link between nitrites and cancer. While there remains no evidence for nitrite or nitrate carcinogencity, according to the National Research Council, the confusion among consumers may come from hearing cancer concerns raised about nitrosamines. As the IPCS-INCHEM notes, the sole cancer suspicion lies in the formation of N-nitroso compounds (NOCs), whether in the stomach or within the food itself, which have been shown carcinogenic in animals when exposed to high levels. Whether these compounds form in humans in normal dietary conditions in large enough amounts to pose a health risk, however, has not been established. In fact, as it turns out, the pH of our gastric juices doesn’t support nitrosamine formation and there are other substances in our body that inhibit their formation, too. Nitrites and nitrates can combine with natural amines from proteins to form various NOCs. But the concentrations of nitrosamines in bacon and cured meat are at undetectable levels, according to the USDA. And that’s been known to be the case for more than a decade. There are many different types of nitrosamines and their formation depends on multiple variables, such as other ingredients, processing, storage, cooking, bacterial counts, and more. It was discovered in the 1970s, however, that simply adding ascorbates (vitamin C, ascorbic acid, sodium ascorbate, erythorbic acid or sodium erythorbate) to the salt cure inhibits nitrosation reactions which could lead to the formation of nitrosamines in processed meats. Since the 1970s, all commercially cured meats use sodium ascorbate, as well as monitor nitrosamine formation in fried bacon. Gastroenterologists in the UK also discovered in 1989 that the healthy human stomach itself secretes appreciable amounts of ascorbic acid in gastric juice which prevents endogenous (in our bodies) nitrosamine formation when we ingest nitrates and nitrites. Our bodies appear designed to safely eat levels of nitrates and nitrites typically in foods and water. So, just as there is no credible evidence for higher rates of gastrointestinal cancers among vegetarians who eat lots of vegetables and high-nitrate diets, there has been no evidence of higher rates of cancers because people eat larger amounts of meats or processed meats. As the EFSA report explained, nitrogen is the most abundant chemical element in the earth’s atmosphere. It’s a key component of essential biomolecules such as amino acids, vitamins, hormones, enzymes and nucleotides. Found in all living tissues, nitrogen is an fundamental part of the nitrogen cycle, which continuously interchanges nitrogen between organisms and the environment. Since nitrite is produced naturally in our bodies and also naturally comes from our foods, it shouldn’t be surprising that it is not only safe, but a necessary and normal part of human physiology. As studies failed to support the premise that dietary nitrate is detrimental to human health, the benefits and function of nitrites began being recognized. In 1994, Dr. Jon Lundberg, M.D., Ph.D., of the Karolinska Institutet in Stockholm, and Dr. Nigel Benjamin of Peninsula Medical School in Exeter, England, independently noted that the human stomach holds large amounts of nitric oxide. 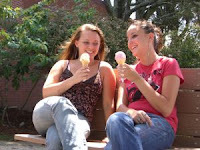 Knowing that it weakens microbes, they suspected it might be killing germs in the stomach, too. The antibacterial action increases with nitrate concentrations, they found. Gastric pH rises after food is eaten to levels that are not bactericidal against foodborne pathogens unless nitrite is present. So, nitrites appear to have a biological function to help protect us against stomach infections and foodborne illnesses. Dr. Benjamin also noted that cavity-causing bacteria die in high-nitrite environments and suggested that nitrite may play a role in preventing cavities. The role of nitrites, saliva and nitric oxide in our body continues to be researched, most notably by fascinating experimental studies being conducted at the Karolinska Institutet and the National Institutes of Health in Bethesda, MD. Nitrites are being studied for possible pharmacological roles in various medical treatments, including in hypertension, heart attacks and sickle cell. Doctors at Karolinska Institutet, for example, are looking at the role of nitrites for intubated intensive care patients (who don't swallow their saliva) in preventing ischemia-reperfusion injury, gastric ulcers, and cerebral vasospasms after subarachnoidal hemorrhage, and in neonatal pulmonary hypertension. A 2005 thesis by Dr. Håkan Björne, M.D. described this in detail. Nitrite levels have been shown to be low in patients with high blood pressure... Nitrite helps get more blood to regions of the body with low oxygen, such as kidneys, the heart, the brain and muscles. This has potential as a new therapy that was previously overlooked. It's a powder sitting on the shelf and everyone has it. Along these same lines, a 2005 study by scientists with the National Heart, Lung, and Blood Institute with investigators supported by the National Institute of Diabetes and Digestive and Kidney Diseases at Louisiana State University Health Sciences Center, found that sodium nitrite infusions led to the production of nitric oxide which increased blood flow and protected the hearts and livers in mice undergoing experimental heart attacks and liver injuries, reducing heart muscle and liver tissue damage. But, at the very least, said Dr. Gladwin, perhaps we should feel less guilty about eating hotdogs at the ball park. There’s still plenty of summertime left and lots of regional hotdog specialties and BLTs left to enjoy, along with those garden vegies. With a little more science under our belts, hopefully everyone can enjoy it all with a lot less worry. * Led by The Cancer Project, of the vegan organization, Physicians Committee for Responsible Medicine, directed by Dr. Neal Barnard, M.D.. This group has been censured by the American Medical Association, unfavorably reviewed by the National Council Against Health Fraud, and an investigative Newsweek article revealed it actually had fewer than 5% physician members, as well as ties to animal rights groups. Addendum: A reader sent this example of The Cancer Project's hotdog scares targeting children here.